It's hard to say how much this shark had been harassed by swimmers before he decided to take drastic action. 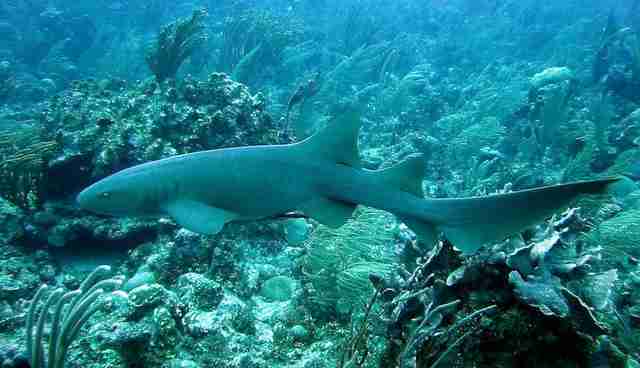 But the 2-foot-long nurse shark certainly made his point. 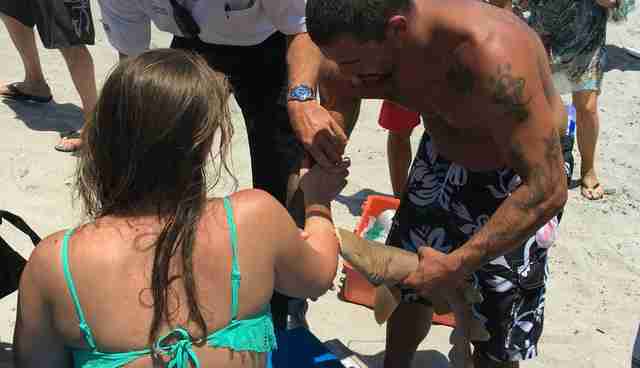 On Sunday afternoon, a 23-year-old woman emerged from a Boca Raton, Florida, beach with the shark clamped down firmly on her right arm - so firmly, in fact, not even death could pry him loose. 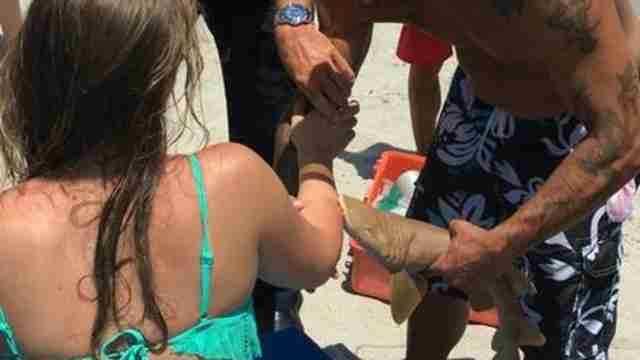 "The shark wouldn't give up," beachgoer Shlomo Jacob told the Sun Sentinel. "It was barely breathing but it wasn't letting go of her arm, like it was stuck to her or something." The shark, according to the newspaper, not only held steadfast to her arm while she was being loaded onto a stretcher, but also accompanied her to the hospital. Doctors finally managed to remove the shark, but sadly he didn't survive the ordeal. "It's a shark that's been in our park for sometime," Clint Tracy of the Boca Raton Fire and Rescue told reporters. "And although we have compassion for the victim, we're also sad that the shark is not going to be there anymore." 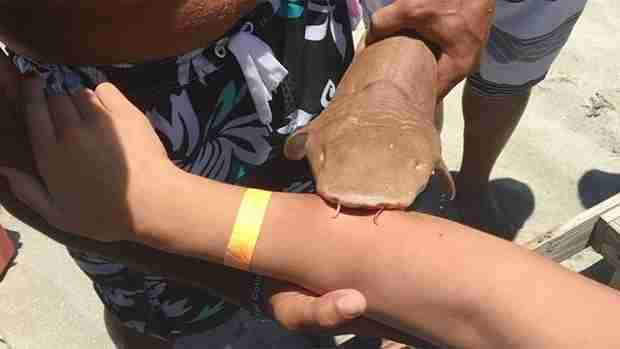 Indeed, nurse sharks are hardly known for violence. Although these slow-moving and mostly nocturnal animals can grow to be up to 14-feet long, they're a staple on lists of sharks whom humans can swim with. Overall, shark attacks on humans are very rare - just 98 attacks occurred worldwide in 2015, according to the International Shark Attack File. Even in the oceans, the odds are stacked exponentially higher against sharks than they are against humans. National Geographic notes about two million sharks are killed by humans for every human killed by a shark. When it comes to attacks on humans, few animals have a more exaggerated reputation than sharks. Unless, of course, those humans refuse to leave them alone cas reportedly was the case on that Boca beach. We've seen countless cases of humans being real heroes to sharks, as well as villains. This case appears to fall into the latter category. Nate Pachter told the Sun Sentinel he saw a group of people antagonizing the animal as the animal tried to swim away. They were, he noted, "holding the shark by its tail. They were messing with it." It isn't known if the woman who was bitten was among them - she is reportedly in stable condition in hospital - but we do know the shark paid an even more terrible price for it. And today, the ocean is a little emptier because of it.